NetSuite is a great and reliable way to get your eCommerce store up and running, but unfortunately there is no easy way to export your Netsuite products to Google Shopping. We’ve Built a Powerful Way to Get NetSuite Products Exported to Google Shopping! 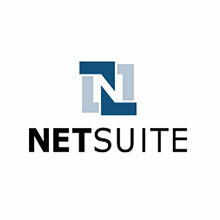 NetSuite is a great platform for selling products with many powerful modules. One that is certainly lacking, however, is a way to get a product feed out dynamically. You can do it statically, but what if you have products where the inventory is rapidly changing, or if you are adding new products daily? If you want to optimize your data, you’re also left out in the dark, as your only option is incredibly manual. Lastly, you won’t have a way of using performance based custom labels that are based on ROAS or CPA. With Feedonomics, you can both optimize your NetSuite product feed and have powerful performance based custom labels on a per-SKU level!